As some of you may know one of the two Assassin's Creed installments is due to come out during the Holidays of 2014. One of the games, Assassin's Creed Unity (5) will be for the current generation (PS4 & XB1) and the other one is unannounced at the moment. There is speculation that the other game will be for the previous generation (PS3 & 360) and will make the crossover as a HD version as Assassin's Creed Liberation did this past year. Time for the big scoop! 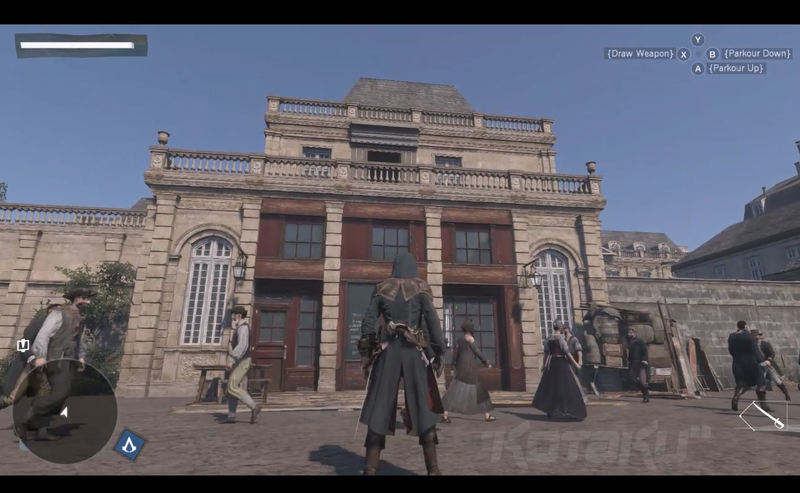 The storyline is planned to take place in 18th century France, assumed during and post revolution. The French Revolution takes place between 1789-1799. During this period in France, the monarchy and Church showed a decline of power as nationalism and democracy grew. I think the 10 years of the revolution is too short, they might skip over some of the events listed below and include the Napoleonic Era in France. 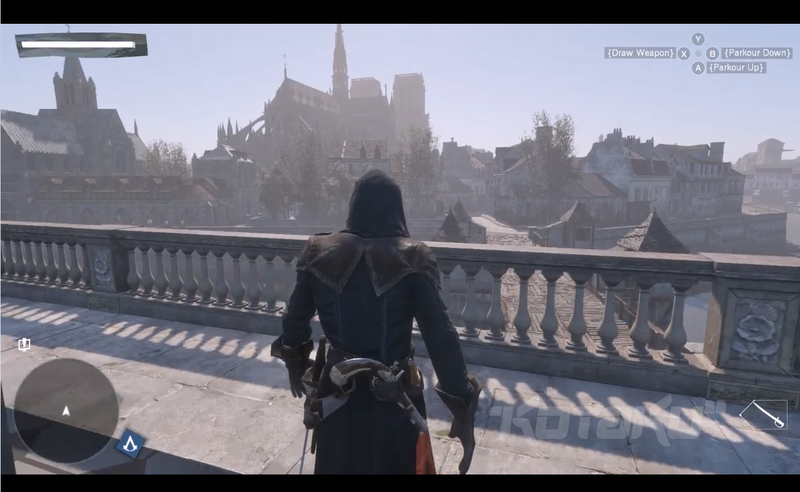 According to KOTAKU the protagonist is named Arno. From the images and video that are online it is evident that the protagonist is a male. 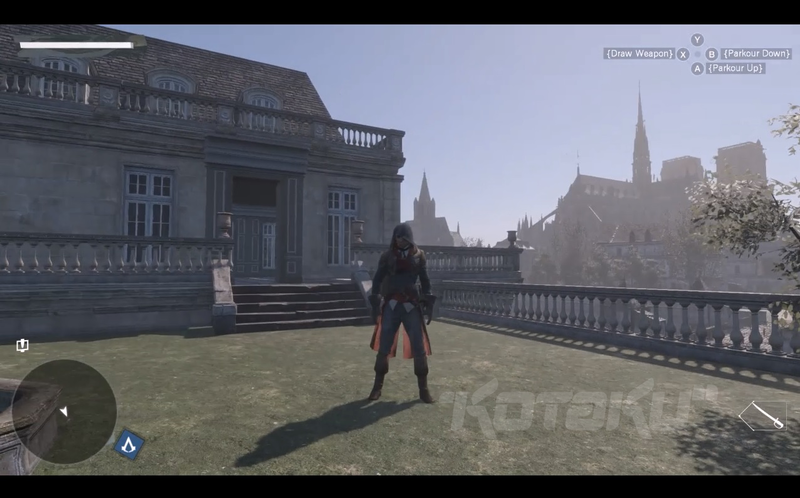 The protagonist is not wearing the traditional white assassin's outfit, this might be due to blending in more. It might be due to blending in with French Revolutionary Soldiers, or it might be a homage to him serving in the army. He has the traditional tied red sash across the waste. He has the usual sword and now pistol. He does not see to have hidden blades in any pictures or in the video, but this might be early on in the game and he has not earned them yet. 0:05-0:07 - States "The Following Is Alpha Game Footage"
0:15-0:19 - States that this will be a next gen only game. 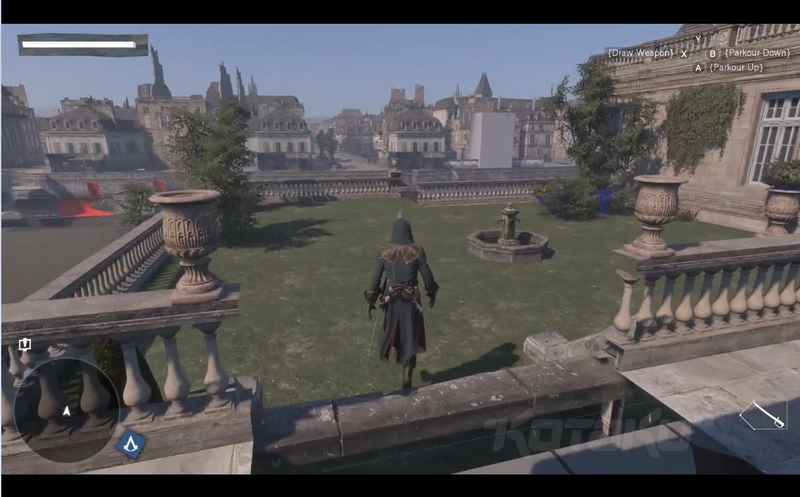 0:37-0:44 - View of old climb features, since the buildings are old world compared to AC3 and AC4 the climb features will resemble more to AC1 and AC2 Trilogy. 0:47-0:50 - Protagonist is holding a locket or a pocket watch. (this could relate to his back story of him losing a loved one, most likely a women because the role of women in society was on the rise and being challenged. You can see on his arms that there are no hidden blades. 0:50-0:54 - Protagonist is looking down into the square in front of Notre Dame, where the guillotine is set up from someone's execution. You can also see he is equipped with a sword and pistol once again. 0:54-1:00 - guillotine comes into view and drops down. Picture Analysis (Images from KOTAKU) all images are from an unfinished product. What are your thoughts on the upcoming game and location/story? I'm glad they're finally doing the French Revolution. It might even pull me back into the games after I quit the series completely after AC:III (which I'm sure you know I hated). Would have to catch up and finish 4, but I guess I'm not under a time limit. 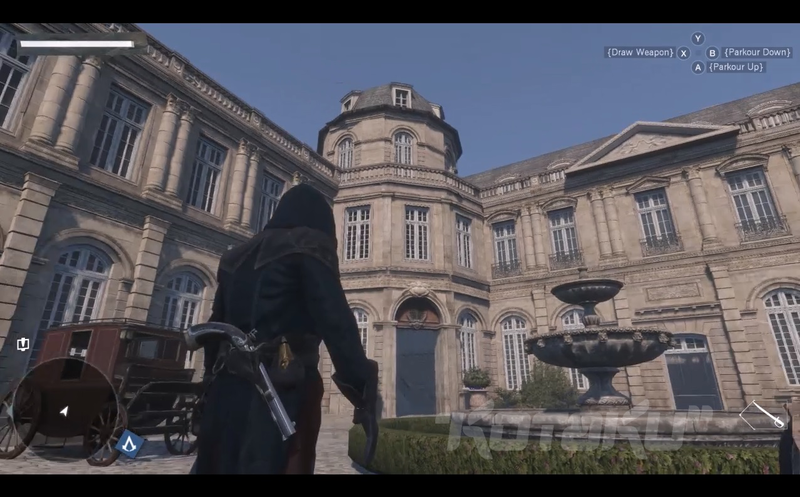 Hopefully the villa building/expansion is more like AC2 than what they've been doing recently. Arno is an interesting name because it's not French. Yeah I really hope the new villa feature is like AC2, but incorporates the BH format where you can buy items for the shops. If I remember correctly in AC2 when you upgraded shops in the Villa you could not purchase anything from them. The origin of the name Arno is German (this can also be explained because during the Medieval Period the Franks (a germanic tribe) occupied France. Perhaps this is a decendant of Ezio, it wouldn't be a strech, considering Italy is near France.